German-Malaysia Institute replaces its Dynamics Nav with Sage 300 ERP. V. 2012. German-Malaysian Institute (GMI), a joint venture between the Governments of Malaysia and Germany. GMI is governed by a 10-member Board of Directors comprising representatives from the governments, public and industrial bodies. The institution was set up as a Company Limited by Guarantee whereby the founders are Majlis Amanah Rakyat (MARA) and the Malaysian German Chamber of Commerce and Industry (MGCC), and its implementing agencies are MARA and German Technical Corporation (GTZ). GMI had its first student enrollment in 1992 and the growing number of enrollment prevails. The institute provides a broad-based engineering education, with opportunities for specialization and self-directed learning and development. GMI offers diverse training programs and services consisting of full time diploma programs, a pre-university program (A-Level), skills upgrading technical courses, train-the-trainers programs, and industrial consultancy and services. After considering its options, including upgrading to the latest version of Microsoft Dynamics NAV, GMI decided to engage CareWare Systems to implement the Sage 300 ERP v. 2102 because of her track records and domain experiences in the educational sector. Moreover the Sage 300 ERP has the most installed based in the private universities & colleges in Malaysia and is a proven and robust ERP systems. Current GMI will install the entire Financial Suites; operational & purchasing suite on its campus on it Local Area Network System. CareWare will also customized the solutions to suits some of its unique needs. The Sage Vision Conference 2014 is an event that recognizes exemplary contributions and innovative solutions from Sage Asia partner’s community. Penang — October 25, 2014 — At the Sage Asia Conference 2014, held at Hotel Equatorial, Penang, Sage Asia Pte Ltd recognize and honour Sage Business partners from around Asia for exemplary performance. At this awards night, CareWare Systems Sdn Bhd was recognised as the Asia Top #1 Sage Premier Partner 2014 at the recently held Sage Annual Conference & Awards ceremony in Equatorial Hotel, Penang. The award was presented by Sage Asia Managing Director, Mr. Gee Sing Low to CareWare on this auspicious event night. "Receiving the Sage Asia Top #1 Partner Award for the Asia region is an honour for CareWare Malaysia," said Robert Tan Managing Partner of Careware Systems Sdn Bhd. 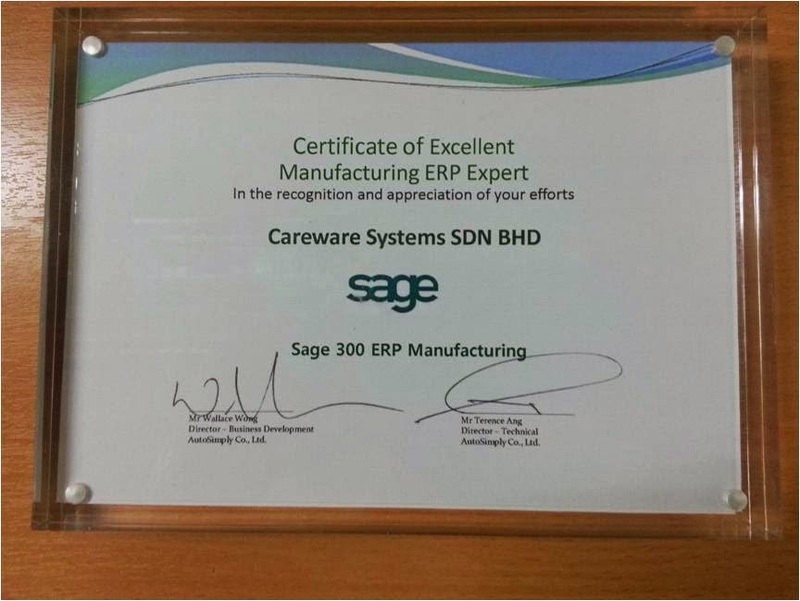 "This recognition of our capability across the entire Sage Business Solution - ERP/CRM suites is an outstanding result for us Malaysian and demonstrates the uniquely focus & technical excellence we have in our team. We thank Sage Asia Pte Ltd for recognising our team who worked with dedication and commitment in providing business solutions and excellent customer service. We also thank all our valued customers who place their trust in CareWare as their implementation partner and providing us business opportunities." Multiple Awards won by CareWare Systems Sdn Bhd. IS YOUR COMPANY GST READY ? How to be GST Ready for your company? Selecting software that has been used worldwide usage which has GST/VAT for years, rather than first timer software written for GST. Needless to say that Sage 300 ERP (formerly Sage Accpac) has track records in GST/VAT since its DOS day till now in many countries worldwide. But Malaysia GST scenario is unique and difference from other countries because has give exemption to many essentials goods in Malaysia rather than just a flat rate. The Sage 300 ERP (formerly Sage Accpac) has received accreditation from the Royal Custom of Malaysia as “Malaysia GST Compliance”. 2. The Vendor -Implementation and set-up. 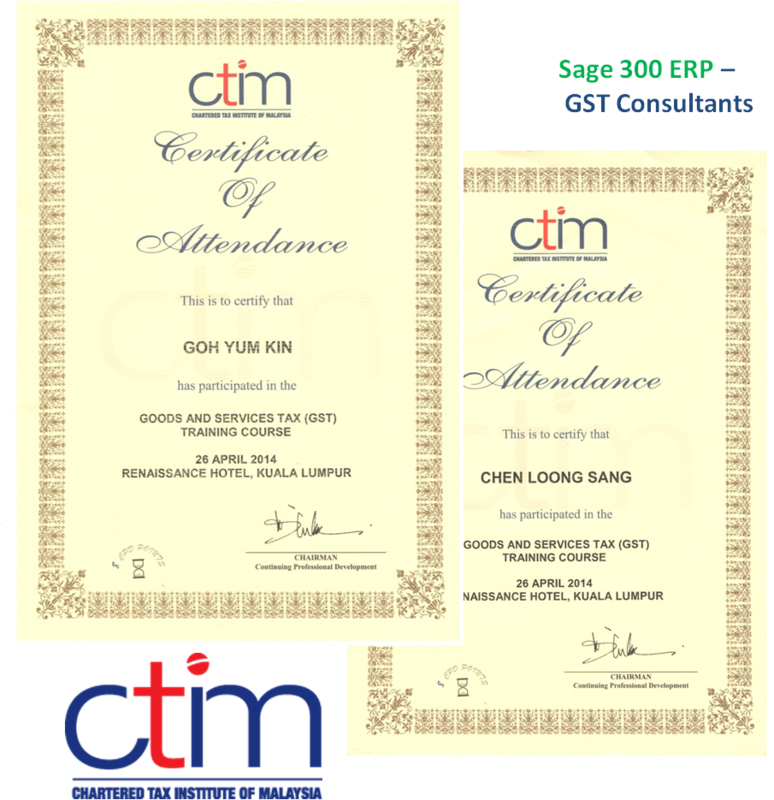 Careware's team of consultants and support personnel’s, apart from being certified Sage 300 ERP Consultants were send for a ten days intensive courses by Charted Tax Institute of Malaysia (CTIM) with a full day examination. 3. CareWare valued added services to support your company GST efforts. 1. 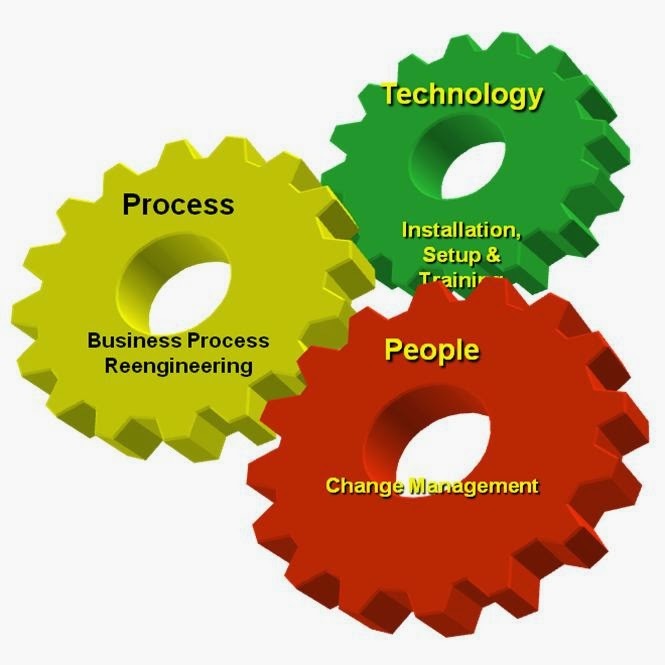 We will help you in the Installation and training and support of Sage 300 ERP for Software readiness. 2. Our Sage 300 ERP GST consultants will help implement and set-up the necessary structure and reporting needed for submission. 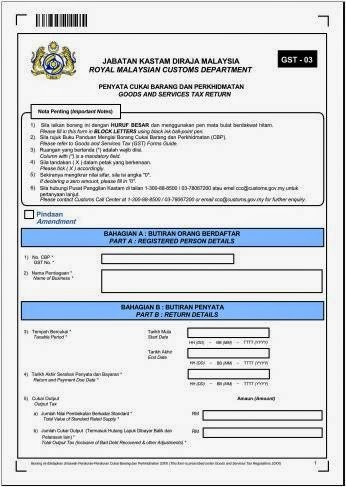 GST Return • GST return is a statement used to account for the tax to the Customs Department. • The form is essential to enable any input tax to be claimed from Customs Department. Inti International University & Colleges upgrade to Sage 300 ERP 2012 for Malaysia GST compliances. The upcoming proposed 6% Goods and Service Tax (GST) will equally apply to Inti Group from April 1, 2015 as Parliament approves the GST bill which was debated in the March/April 2014 session. Realizing that early preparation is very important since April 1, 2015 date will soon be here, INTI International University and INTI International Colleges (A part Laureate International Universities network) has taken the early steps in upgrading to Sage 300 ERP v. 2012. This version is accredited by the Royal Customs of Malaysia. According to its spokesman, we have done the following in early preparation for the GST as we are a large organization. We believe early preparation is the key to a smooth transition and operation for the entire Inti Group. 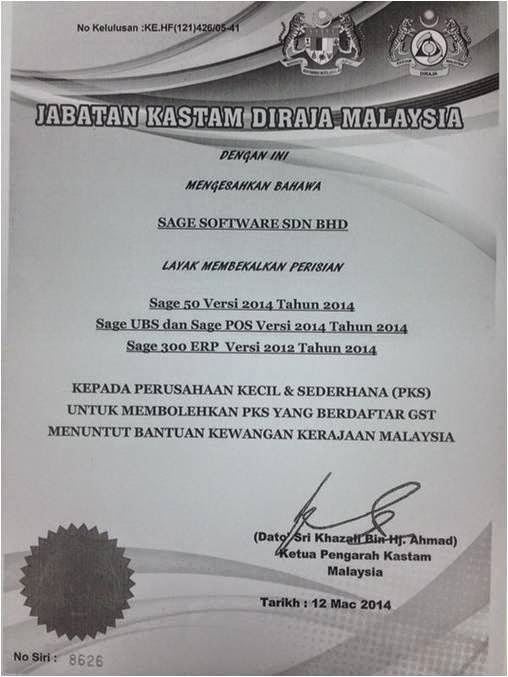 In Phase 1, we upgrade our software to the GST compliance version of Sage 300 ERP v. 2012 for Software readiness. We will do the necessary hardware and installation and data migration to the Sage 300 ERP v. 2012. In the 2nd Phase we will engage CareWare’s CTIM (Charted Tax Institute of Malaysia) certified consultants to implement, set-up and customized any specific forms & reports to support our GST submission. This will includes both local and overseas transactions involving goods, services and financial & intellectual property transactions. It will be important to classify on the output side (ie. sale/revenue) all the supplies into standard or zero rated or out of scope or exempt supplies as each has different implications. The exempt and out of scope supplies are not taxable supplies but the zero rated supply is a taxable supply without GST. On the input side (ie. acquisition), the key issue is whether the input tax can be recovered. We have for now a total of eighty three (83>) concurrent users and two hundred (200) names users from its Subang Jaya Campus, and remotely access from all colleges/schools will log-in via internet (Private Cloud) from remote sites to its central locations. Sage 300 ERP enabled a seamless process and interaction between back office finance, operation and purchasing that is greatly enhance, with Sage 300 ERP 2012 for a centralized solution that would enable integration within and between the different educations business units. This blog news is for informational purposes only. CAREWARE & SAGE MAKES NO WARRANTIES, EXPRESS OR IMPLIED, IN THIS SUMMARY. During the government reading of the 2014 budget, Malaysian Prime Minister Mr. Najib Razak announced a GST tax of six percent starting on April 1, 2015. This will replace the Sales and Services Tax. 3. . Companies do have the option to register on voluntary basis if they fall out of this bracket. Some business will find this beneficial if they deal primarily with GST registered businesses. 4. Registration date: 3 months prior to 1st April 2015. How would GST impact SMEs? 1. It will impact every aspect of the business if the business falls within the GST threshold & could impact those business that do not fall into the threshold should they purchase goods and services from those that do. 2. It has legal implications and penalties will be imposed Business transactions must become more transparent to the government. 3. There will be greater need to automate as GST will need to be paid quarterly or monthly dependent on business size. Are NGOs and Charities affected by GST? 1. The NGOs will be subject to the GST if they are involved directly in any business activity of making taxable supplies. 2. Charitable institutions such as the institutions of disabled persons, orphanages and home for the senior citizens will not be subject to the GST where the services provided are solely for the members of the institutes only and there is no payment in return. Source: Ministry of Finance, Royal Malaysian Customs.